2. The extruder and haul-off adopt imported AC frequency speed controller, vacuum pump and haul-off motor all adopt superior products. The haul-off method has two-claw, three-claw, four-claw, six-claw and etc. You may choose saw blade cutting type or planetary cutting type. 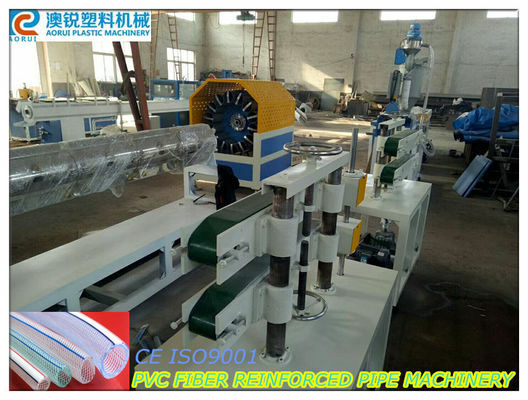 Mainly used for produce pvc fiber enhancing soft pipe, gridding pipe and snakeskin pipe.